It is no secret the Katty Perry is an international sensation in 2014 she broke the Billboard airplay charts record with “Dark Horse” staying at #1 for 4 weeks straight which also surpassed Mariah Carey with total weeks an artist was at #1 which was 45 weeks. Katy Perry held the #1 spot (with different singles) for 46 weeks. The next people even close to this record is artist P!nk (32 weeks) & Rihanna (32 weeks). Well, this year she can put herself in the record books once again. Her single “Roar” and “Dark Horse ft Juicy J” both break the billion view mark on Youtube. She is currently the only artist with 2 music videos on Youtube with a Billion views. Now you may wonder who are the other artist with a billion view videos? 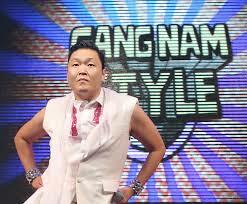 Artist PSY of Korea shattered the Youtube record for views hitting 2 billion views early 2014. As crazy as that my sound he has yet another song getting very close to a billion views. His song “Gentlemen M/V” is sitting at 862 Millions views and counting. Taylor swift also joined the “billion View” club with her single “Blackspace”. As much hate as Justin Bieber gets you would think he wouldn’t make the list but you can also add him to the “Billion View” club. One of his early single’s “Baby ft Ludacris” also hit a billion views. The contradicting part of the view count is that he actually has more dislikes (4 million) than likes (3 million). None the less, if you come to view his music to hate it or love it the view count still goes up. Congrats Justin! Below we have the top 20 artist in Youtube views. Previous Previous post: The back story behind the Drake & Meek Mill beef.